Every season has a list of must-have wardrobe essentials and so does winters. The best thing about winters is that you get a chance to experiment with different styles, but for a short period of time every year. The main purpose of the winter clothing is to keep you warm by coats and jackets for men and women, but stylish as well at the same time. There are endless varieties of winter stables, but here is a list of top 10 wardrobe essentials to keep you warm and stylish this winter. 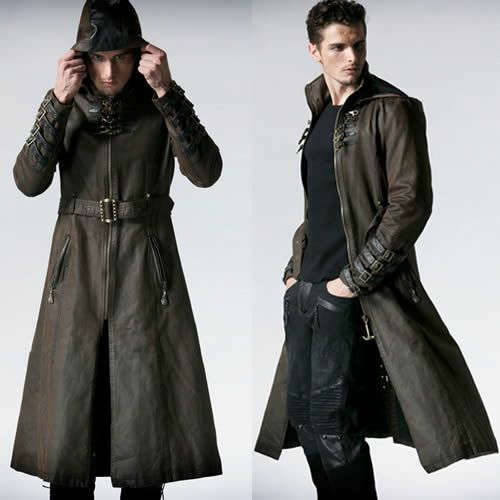 The traditional trench coats are now modified and loved by men and women in winters. The basic design remains same. It is basically a long coat which is styled over all other clothes. It is usually double-breasted and has around ten buttons in front. It has a basic look and gives satisfactory warmth when leaving the house. It is the most wearable and popular outfit in winters for both men and women. The bomber jackets have become so famous because of their cool and classy style and satisfactory warmth. The most simple and cheap wardrobe essential for women is a woolen scarf or blanket wrap which keeps you warm and gives a graceful look in the winters. There are many ways to style your scarf according to the outfit. Every man and woman need a few good sweaters in the wardrobe to survive the winters. There are numerous amount of varieties and styles of sweaters available in the market. Anyone can style sweaters according to requirement, choice, and personality. There are endless styling opportunities for sweaters as they are extremely versatile. The cute little beanies on the top of your head complete a casual and happening winter look. They are famous among men and women both. They are available in different styles and fabric according to your requirement. Everyone needs a statement coat in his or her wardrobe to complete winter essentials. It gives you a chance to show your personality. You may wear your statement coat occasionally, but it is a must-have. Now the men come to take over on this must have wardrobe essential which is a woolen vest. Now, it is important to have something to keep you warm other than a formal suit. For this, a woolen vest is the best option. There are many reasons why you need to have turtleneck tops and sweaters in your wardrobe. But the two most important of them is that they keep your neck and chest covered so that you don’t catch a cold and secondly they look absolutely amazing when styled with any jacket or coat. This is a must-have for all the stylish ladies. The winters are the only chance for women to show off their beautiful high knee boots and style them in an endless number of ways. The trend of leather jackets is one of a kind trend because it never gets old. All fashion aspiring men and women have at least one or two leather jacket in their wardrobe. There are infinite ways of styling your leather jackets.